Sign up for Broadjam today to follow Off the Record, and be notified when they upload new stuff or update their news! Off the Record is a passion project of 5 "not so young or hip" working stiffs who unfortunately won't be quitting their day jobs any time soon. Three words can be used to describe how they got started: Breakfast with Santa. 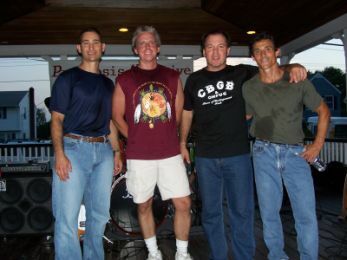 What started as a yearly tradition of playing Christmas songs, to eventually playing fund raisers for causes such as The Tsunami and Katrina, has now blossomed into a dedicated band playing the great classic rock we have all grown up with and continue to cherish.